At long last, #CookieWeek has returned! This time around there are some really great recipes in the line up. From shortbreads to sandwich cookies, there is something for just about every cookie lover out there... and just in time for your holiday baking. 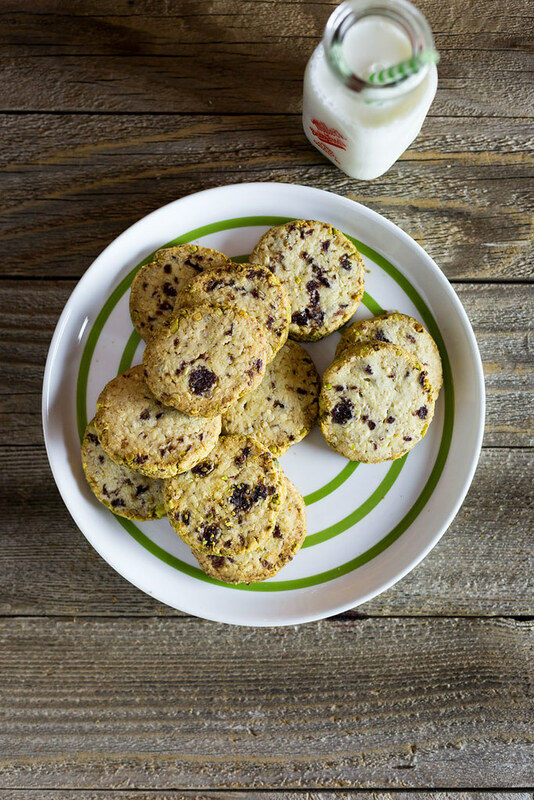 I'm kicking off the week with this simple shortbread, Cranberry Pistachio Sables. These little gems are a great standard recipe to know. They incorporate holiday colors and flavors in a treat that is sweet and a little bit salty. 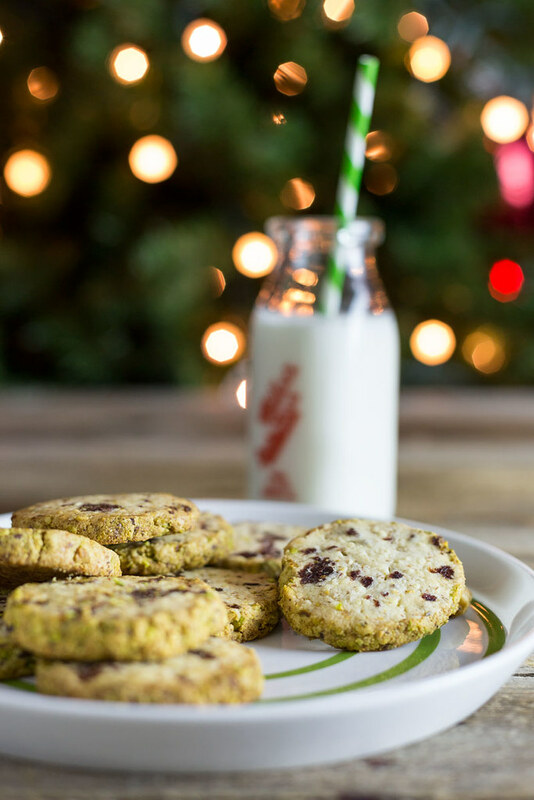 The texture is a crumbly, the cranberries are chewy, and the pistachios give it a tiny crunch to finish it off. It's holiday perfection. So grab your aprons and mixing bowls. It's happening. You are going to be using only the yolks, but keep the whites for another cookie coming up later this week. Place butter in the bowl of your stand mixer and beat until smooth and creamy (30 sec to 1 min, depending on how soft it is at the start). Add the confectioners’ sugar and beat again until you get a smooth consistency. Add the egg yolks and lemon juice. Beat until fully combined. Add the flour and ground almonds and beat just until blended. Add cranberries and beat on low just until combined. Pour the dough onto a lightly floured work surface. Press it together with your hands and then divide it into two equal parts. Form each part into a log that is about 2 inches in diameter. Place a piece of cling film on the counter that is about 6 inches longer than a log. In the center of the cling film, sprinkle half of the chopped pistachios in a rectangle that is the length of a log and about 3½ inches wide. Lay one of the logs on one edge of the rectangle and roll it in the pistachios to cover the outside. Add more pistachios as needed. Move the log to the edge of the cling film and roll the film tightly around it. Twist the ends to remove and air and make the log compact. Repeat for the other log and then place both in the refrigerator to chill for at least 4 hours or up to 2 days. Remove one of the logs from the refrigerator and cut into ¼ inch slices with a very sharp knife. Lay the slices on a baking sheet. Bake for 10-12 minutes or until lightly browned. Cool on the tray for a couple of minutes before transferring them to a wire rack to cool completely. Repeat for the other log.